This product contains 24 vowel-consonant (VC), consonant-vowel (CV), and consonant-vowel-consonant (CVC) combination sheets for students to practice their sound productions. 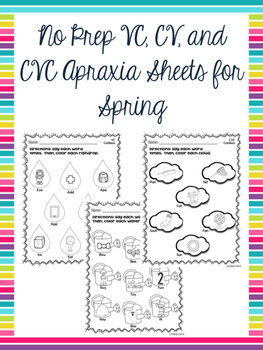 There are 8 VC sheets, 8 CV sheets, and 8 CVC sheets included in this material. Once students say each word, they can color the picture. 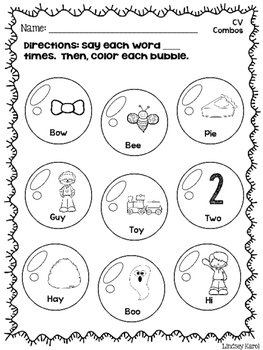 To prepare: Print desired sheets for each group of students. To use: Students take turns saying the targeted word(s). 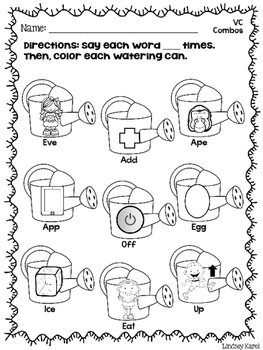 Then, students can color each picture as they say every word. 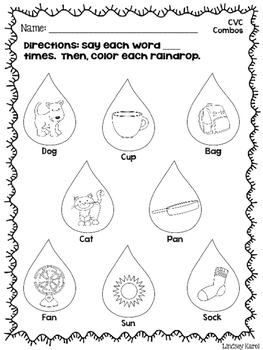 Students can also say the words in phrases and/or sentences, depending on their ability level.